Natasha Signh believes in the power of art and mathematics, and expresses the same through the medium of technology. She has worked in the areas of Yoga, Architecture of India and Kolam art to bring forward a new wave in Generative Art. As a part of the research and development lab of TimeBlur, a Digital Experience studio, founded by technologist Mike and herself, she explores the scope of disruptive technology to create unique digital sculptures for every audience of hers. Her work in the digital conservation of India’s art and culture has been featured in the Discovery Channel and the Creators Project. 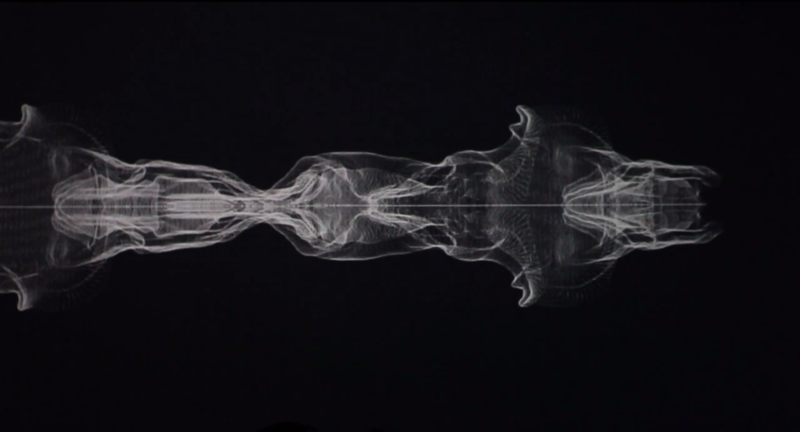 This Generative artist aims to bridge the gap between the Art and Culture of Ancient India and the cutting edge technology of the modern day world. TimeBlur wrote their own software and designed a system to make Nadi happen. Techniques like Image processing, Computer Vision, Depth Imaging and Generative Art were applied in the process. The result of which was generative images for each person performing the asana, depending upon his proportion and movement.